Capture More Emails & Combat GDPR with "Send My Cart"
Have you ever been shopping on a website, filled a shopping cart, and decided that the timing wasn’t quite right? You’re not alone! Around 20% of shoppers that abandon a cart claim they did so because they simply weren’t ready to make a purchase yet. “Send My Cart” is a new feature, only available to CartStack customers, that helps ecommerce businesses combat cart abandonment and GDPR, while helping you capture & remarket to a higher number of leads. So How Does “Send My Cart” Work? 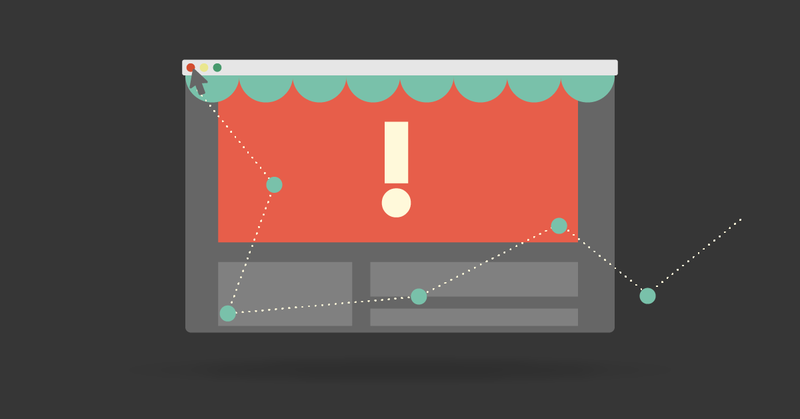 Much like an Exit Intent Popup, CartStack monitors when your shoppers are about to abandon their shopping cart. As they attempt to leave, a dropdown will appear from the top of your cart page to disrupt their exit and give them the option to send themselves an email that includes their cart contents! For many shoppers, not wanting to complete the purchase now doesn’t mean they don’t wish to at some point in the future. And if you’re leaving it 100% to them to come back and either refill or reclaim their shopping cart, chances are they simply won’t do it. In essence, “Send My Cart” will allow your most interested shoppers to turn their inbox into a wishlist of products from your store! That way, when they’re ready to purchase, they have a record of exactly which items they wished to purchase and a link right back to your site to finish checking out. Since SMC gives merchants the rare ability to email customers when they want to be emailed, it’s simple to get creative with how to get these customers back & through the checkout line. CartStack will not only send your subscribing shoppers the initial email reminder with their cart items, but also gives you the option to set up an entire email sequence with multiple followups. This is where you can get creative with the strategies & tactics you use to get your site visitors back to reclaim their shopping cart. Using our webhooks, you’ll also have the ability to import your SMC leads directly into your CRM or other email marketing automation tools (MailChimp, etc) to continue to nurture them and convert customers for months/years to come. With our Contact Enrichment Reports, online retailers have the ability to take personalization to the next level! When a shopper subscribes, we’ll crawl the web to gather relevant contact information, links to social profiles & known organizations, purchasing behavior & other data… Data you can use to customize & personalize both your automated & manual sales processes to make sure no customer slips through the cracks. 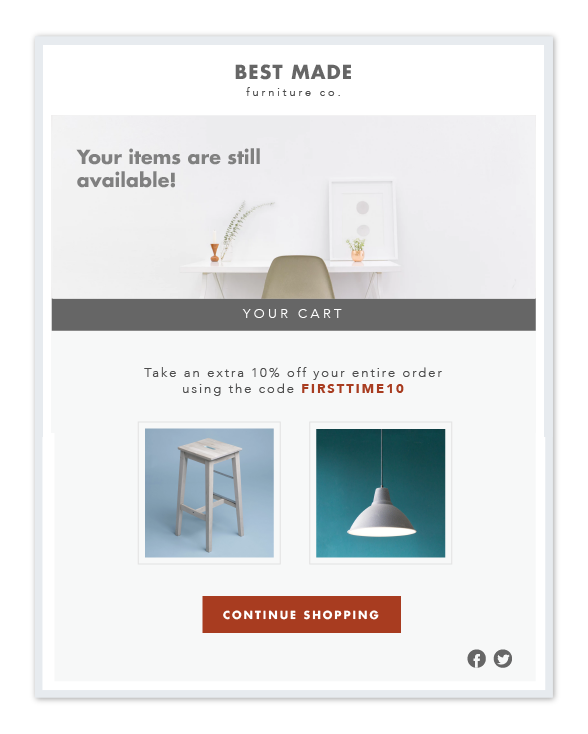 While it’s not always the best idea to immediately offer your abandoning shoppers a discount or coupon code (since there’s a good chance they may still convert without it), having the ability to send multiple emails gives you the chance to test this as a followup tactic after your initial reminder email goes out. For the portion of your shoppers that are price comparing, this can often be the confirmation they need that purchasing from you is the right decision! Since the key component in staying on the right side of GDPR is gaining “explicit consent”, you’ll be able to require your EU visitors to agree to hear from you with a simple checkbox.